Maybe you mean the 100 students, fast and not-so-fast, who participate in cross country here year after year. Perhaps you are curious about the 12 Emerald City League championships between our boys’ and girls’ programs in the past nine seasons. Or the four-year run of state appearances by the boys team and the fact that the girls are two-time 1A State champions in 2015 and 2016 and, in 2016, were voted by coaches to be the best 1A school team in the nation. Or maybe it is our coaches being voted Coaches of the Year in the past six years for the girls and three of the past five years for the boys. Finally, perhaps you want to chat about the success of two Foot Locker finalists and Gatorade Athletes of the Year coming from the same small school. For any questions regarding the program, please contact varsity Head Coach Joe Bisignano. 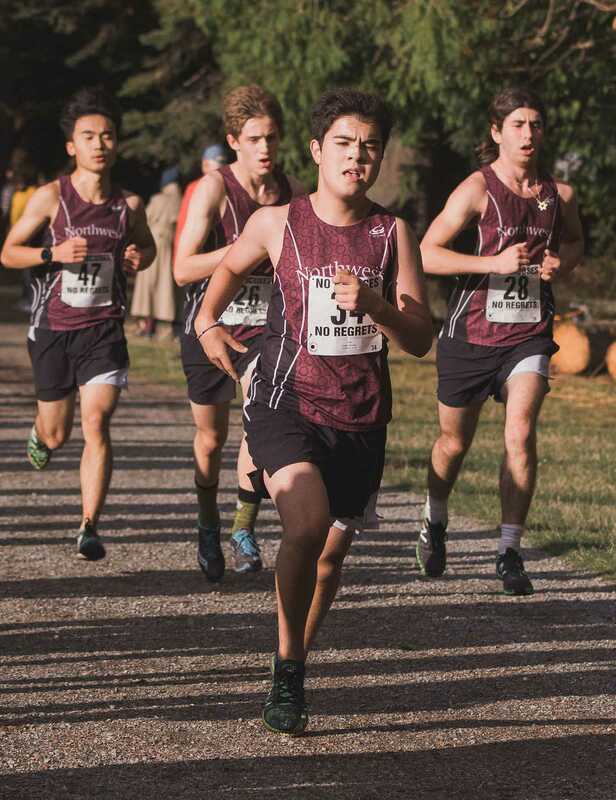 Coach Joe Bisignano’s leadership of the cross country team is beyond extraordinary. His passion for the sport, celebration of kids at every level of talent and fitness, cultivation of community, and integrity set expectations that will change our students for the better, forever. His style of interaction with the team is poetic and powerful. Both of my girls have been the lucky beneficiaries of this experience year after year. It’s a "wow" of a magnitude I couldn’t have imagined in advance and will appreciate long after they graduate.